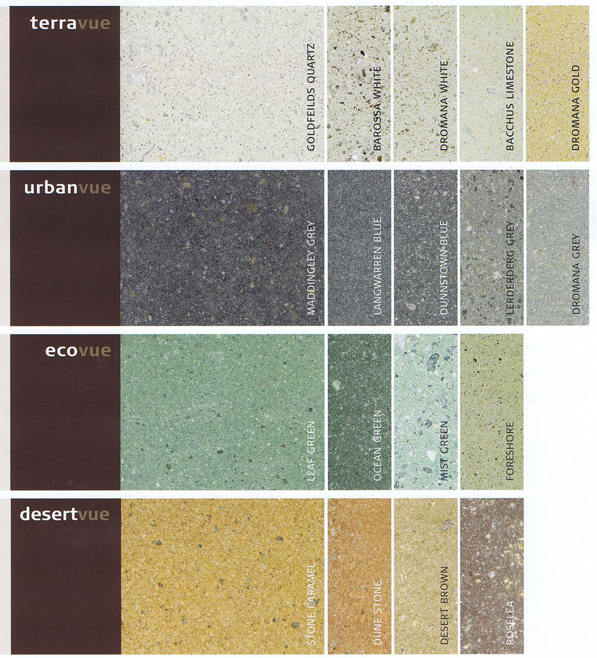 Designed for civic and commercial applications, Stonevue pavers have a dense surface for maximum abrasion and minimum absorption. They are slip resistant, consistent in colour and density throughout for maximum strength and are square edged. They offer a full complement of pavers, step and kerb units. Because every paver is produced from the same mould their plan dimensions are identical. This means they are easier to lay to tighter tolerances. The pressing process increases density throughout the paver – raising abrasion resistance for high traffic areas and allowing tougher cleaning without damaging the surface. Pressing at 600 tonnes also lowers porosity, which decreases the cold-water absorption rate. The increased density and range of thicknesses available result in higher breaking loads which are required for commercial application.